Approximately 2,000 Americans sustain eye injuries each day while at work. These workplace eye injuries cost $300 million every year when you account for lost productivity, medical treatment and compensation. 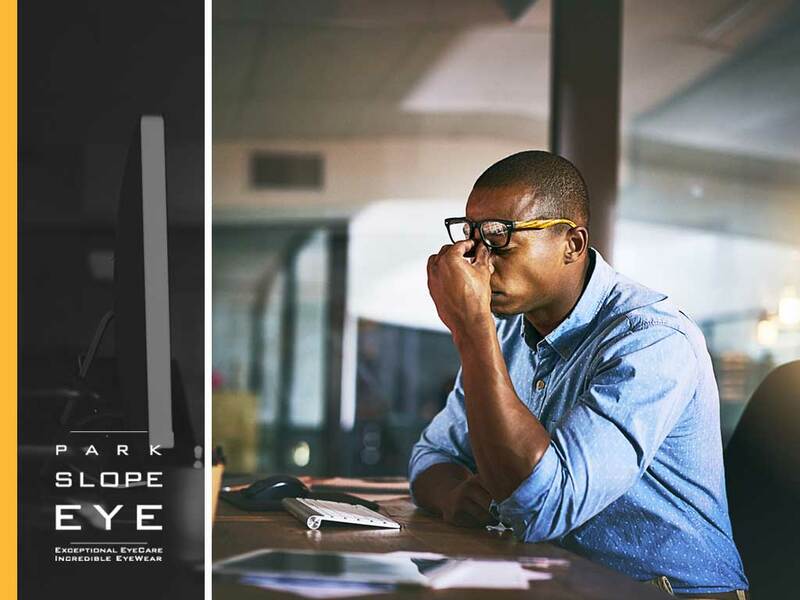 As we observe Workplace Eye Wellness Month this March, Park Slope Eye, your provider of trusted family eye care services, shares four tips to keep your eyes safe while on the job. Underlying vision problems, such as nearsightedness or farsightedness, can increase your risk of sustaining an eye injury at work. Without clear eyesight, you may not see that there’s something sharp in the box you’re holding or there’s another step before you reach the ground. Not only can vision problems compromise your productivity at work, but they can also put your safety at risk. This is why many companies include eye assessments in an employee’s annual medical examination. Before beginning your tasks for the day, your eye doctor recommends taking a look around the space you’ll be working in. Identify areas or tools that may be hazardous to your eyes. You can also review site accident and injury reports. If your company doesn’t have one, create an eye safety protection program in your workplace. This may include annual training or seminars on proper ways to protect the eyes while on the job. If your company already has one, on the other hand, make sure you participate in it and implement the practices you’ve learned while you work. Did you know that approximately 90 percent of reported workplace-related eye injuries could have been prevented by wearing proper protective goggles? Your eye care expert suggests investing in eyewear that’s made of durable materials, such as polycarbonate, which has excellent impact-resistant properties to protect against eye trauma. Polycarbonate lenses are also less likely to break and shatter under high pressure. Safety eyewear with side shields are also a good choice as they can prevent debris from entering your eyes through the sides. For more tips on preventing eye injuries at work, contact us at (347) 380-7070 or complete our form. We serve Brooklyn, NY, and nearby communities.